This year in Lo de Marcos one of my goals was to set up a small natural dye space. I went in search of an oval crock pot and was successful in finding one that had off, warm, low and high temperature choices. And it was also on sale, even better. I had a friend bring me a candy thermometer and timer while she was on a trip to Arizona over Christmas. I had hunted everywhere here and could not find those items. But I did find inexpensive large metal spoons. I asked a friend from Oaxaca to bring me some cochineal bugs and powdered indigo. I found alum (alumbre in espanol) at the hardware store in La Penita. Everything was coming together. I had brought a skein of Pollika Lace bluefaced Leicester which I had purchased at Maiwa before leaving for Mexico. I was interested in how it would take the natural dyes and whether it would be suitable for tapestry. Since this was an experiment I made the 100 gram skein into small skeins, scoured the skeins, mordanted with alum, and then proceeded to dye the yarns. 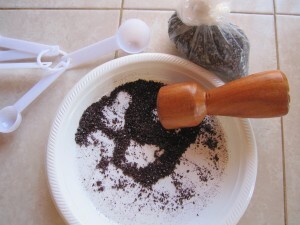 When it came to using the cochineal, I purchased a wooden pistle for grinding up the bugs. You can see from the first photo my dyeing with cochineal. I tried to get a variety of shades of the gorgeous fuschia colour those bugs shared. 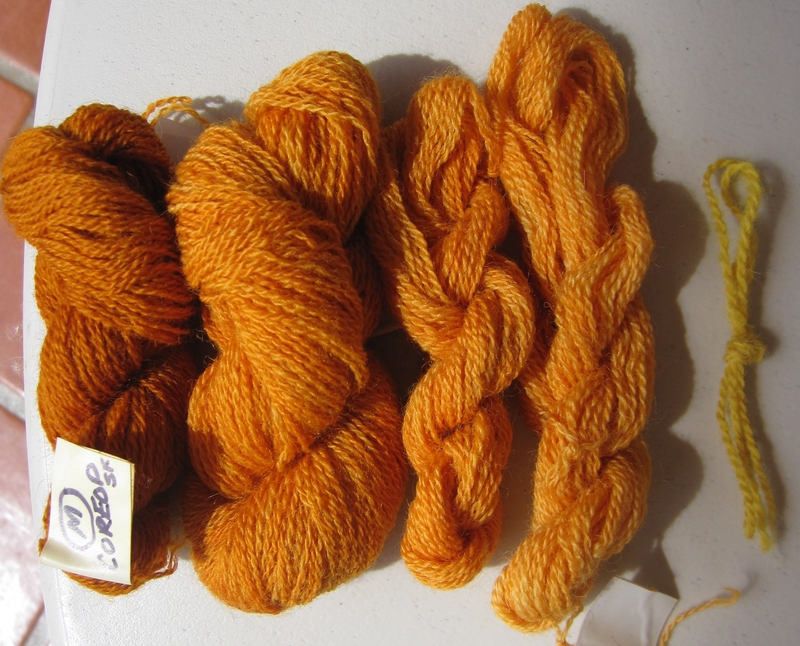 I also dyed skeins of yarn with an orange blossom from a coreopsis plant which I harvested the first few weeks I was here and I froze the blossoms in preparation for dyeing. The small piece of wool yarn on the far right in the above photo was non-mordanted and solar dyed. 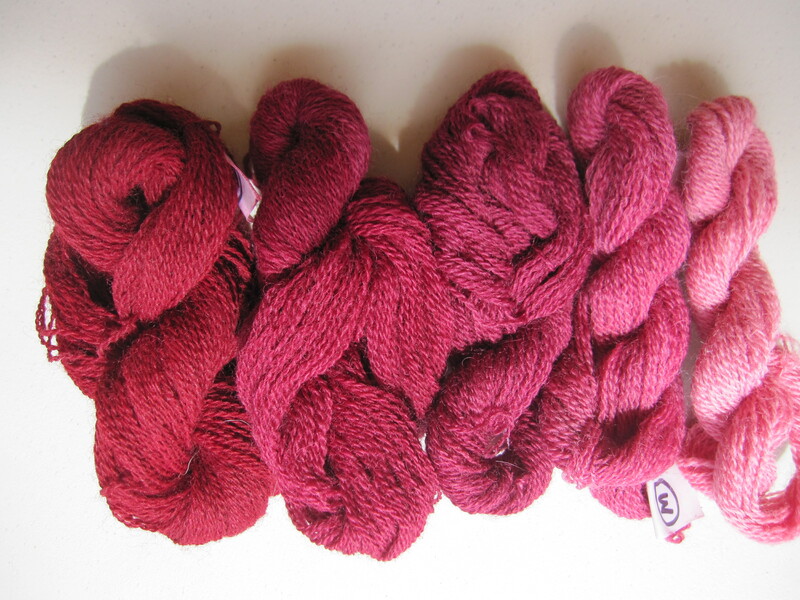 My last experiment with the dyes was to combine the two dye baths, more coreopis, less cochineal and this was the result. 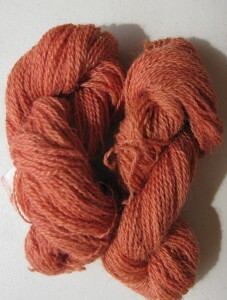 The skeins looked very much like they were dyed with madder. Hi and welcome to my new website. Still not finding what you're looking for? Drop a comment on a post or contact us so we can take care of it!